Make two and carry them to the pool for you and a friend. 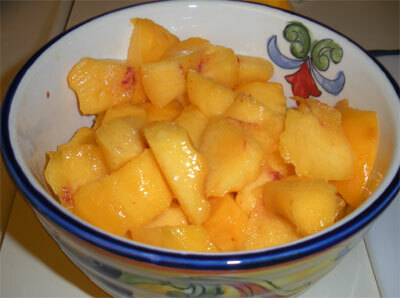 1) Peel and slice ripe peaches. 2) Place all ingredients in blender and pulse until well-blended. 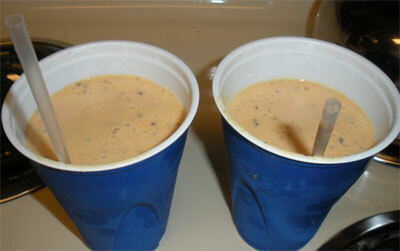 3) Pour in large cups and serve with straws.